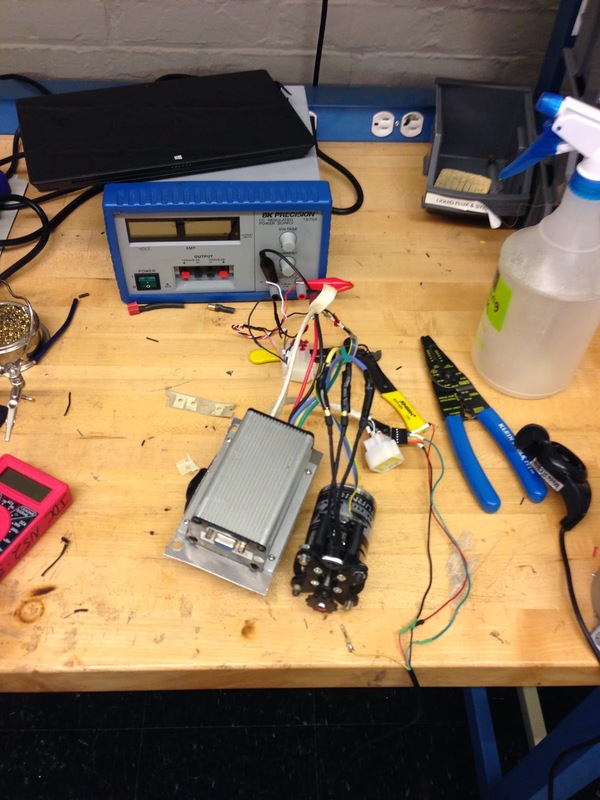 Continuing where I left off, I needed to wire up the motor controllers with the motor, throttle, and mains (power). It was pretty simple; just read the wiring diagram in the motor controller manual and connect wires where appropriate. My work layout on the EE bench is pretty simple. 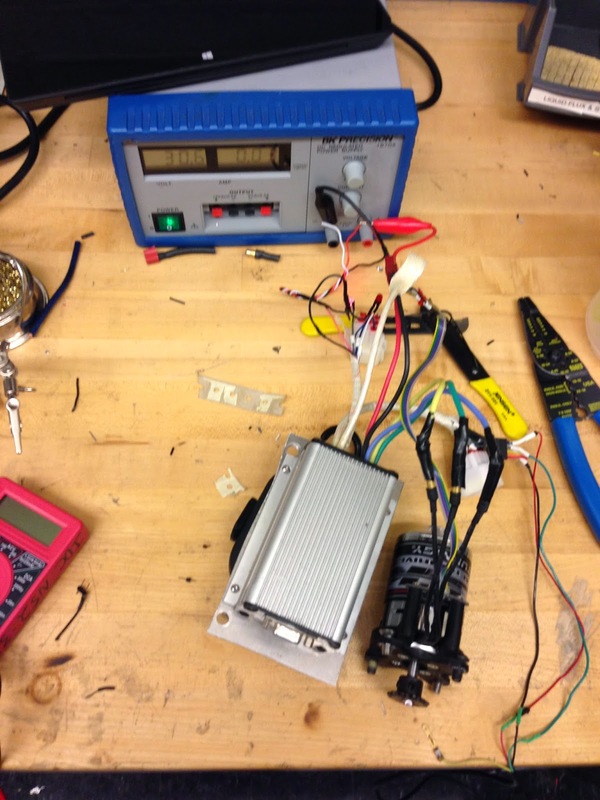 I have a 30V power supply powering the motor controller (the silver brick), which is connected to the three phases of the motor, hall sensor, and the throttle (not pictured here). The red multimeter is for testing the various voltages on the motor controller wires to make sure none of the wires are broken. One of my friends had this bug, and it took her a while to figure out! I also have some helping hands, which are the silver arms holding wires over the table. The throttle is near the bottom right of the picture, below the blue strippers. 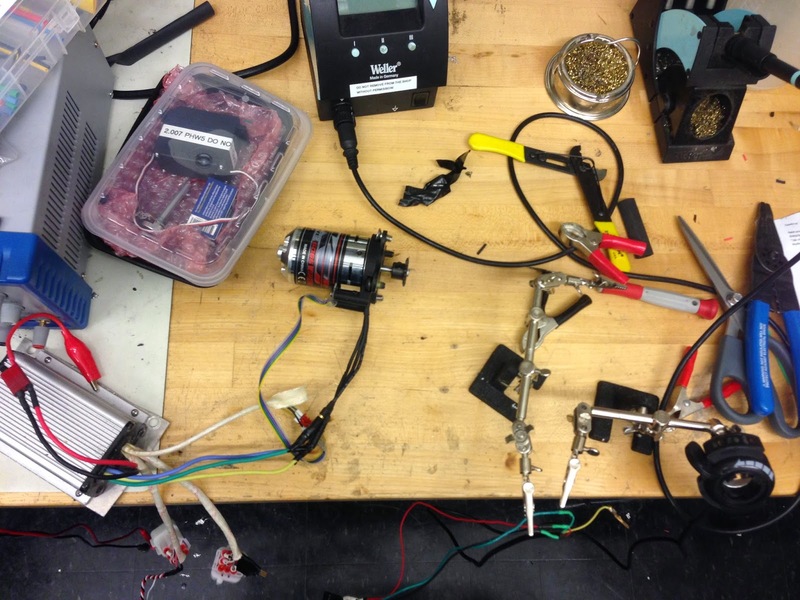 The super awesome soldering station is a Weller industrial soldering station. It took a while for me to figure out that both power inputs to the motor controller need to be 18+V, something the manual doesn't say. Thanks Charles! There are two red LEDs (well one has a red housing and the other has a clear housing) amid the wires which indicate the motor controller status. Here, the clear LED should be solid red and the red LED off. 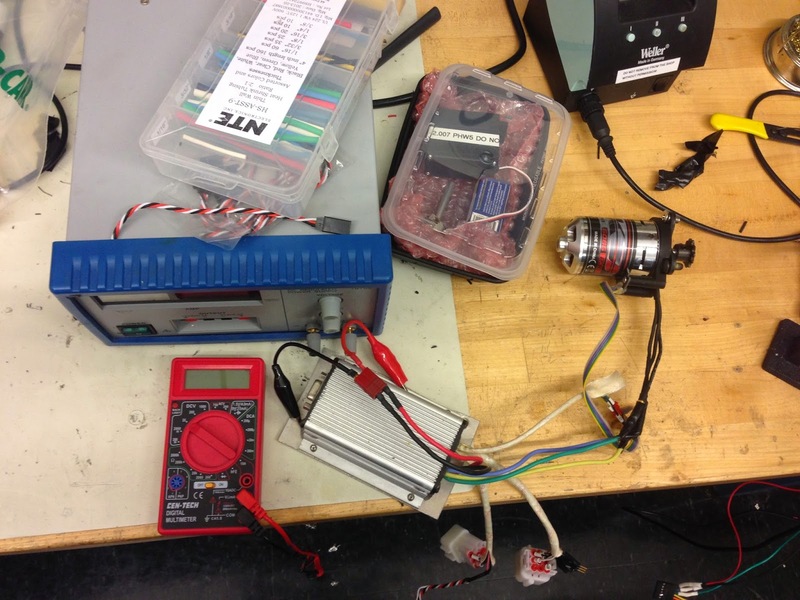 Here's a photo of hall sensor jiggling, with a great writeup by Charles. The goal is to figure out which permutation of phases I should connect the motor to the controller. 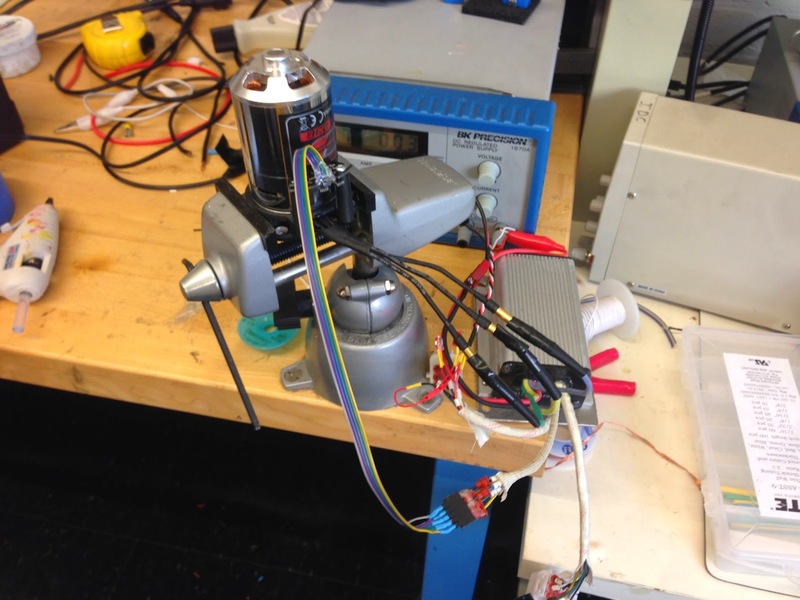 If the motor and controller are not matched properly, then the motor will not spin. There are 3! = 6 permutations, but luckily I found the right pairing on my second try. However, one motor has to spin CW and the other CCW since the motors are mounted opposing each other. To make the motor spin the other way, you have to cyclically shift the three phases. There are only two distinct shifts, and I was pretty happy that I got the motor spinning on my second try. There's more to come! What remains is hooking up the motors to the chassis, installing the chains, and refurbishing the rest of the vehicle as necessary to get it running!